PJM ensures the reliable movement of electricity across a wide range of states that include the Appalachian Basin shale plays in Ohio, Pennsylvania and West Virginia that currently produce about 29.4 billion cubic feet of gas per day. As the following map shows, in addition to the previously mentioned states, Appalachian Basin natural gas is now being used to help power PJM’s market in all or parts of Delaware, Illinois, Indiana, Kentucky, Maryland, Michigan, New Jersey, North Carolina, Tennessee, Virginia, and the District of Columbia. 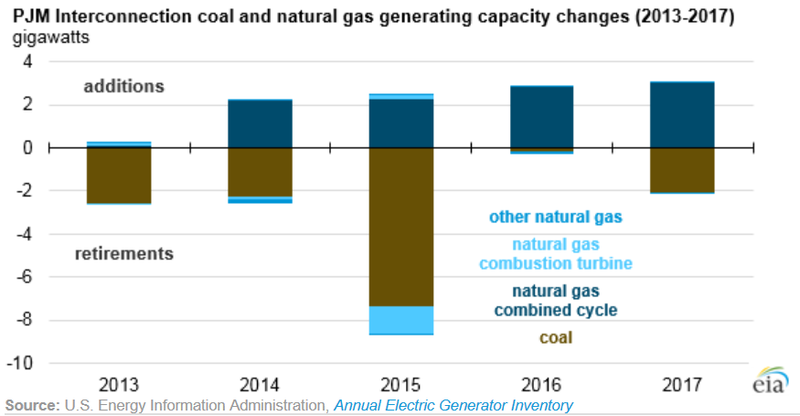 The EIA report notes that from 2013 to 2017, PJM retired 14.4 gigawatts (GW) – about 19 percent of the market’s total capacity – of coal-fired power plants and 1.8 GW of natural gas-fired power plants, at the same time as an additional 11 GW of natural gas capacity was added. 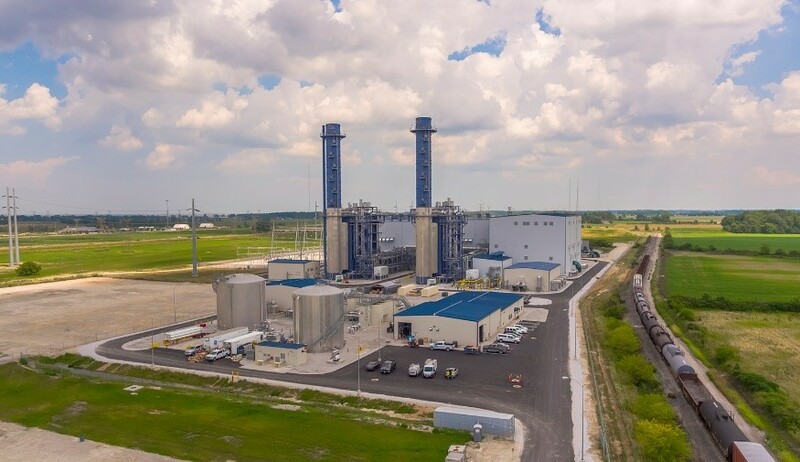 That 11 GW of new capacity includes three plants that are running entirely on natural gas from the Appalachian Basin. The Panda Liberty facility in Bradford County, Pa., became operational in October 2016 and was the first power plant to be built to run entirely on Marcellus Shale gas. It was quickly followed by a second Marcellus Shale natural gas-fired plant, Panda Patriot, which began operations in Lycoming County, Pa. in November 2016. 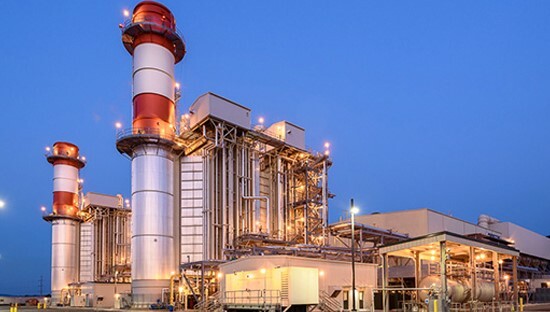 These two facilities each added 825 megawatts (MW) – a combined 1.65 GW – to the PJM market and are capable of supplying electricity to roughly two million homes. 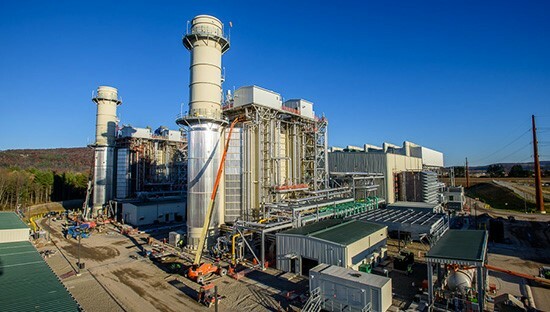 Oregon Clean Energy Center (OCEC), located in Lucas County, Ohio, is an 870 MW natural gas-fired power plant that became operational in July 2017. OCEC is supplied with natural gas from the Marcellus and Utica shales via the Generation Pipeline. 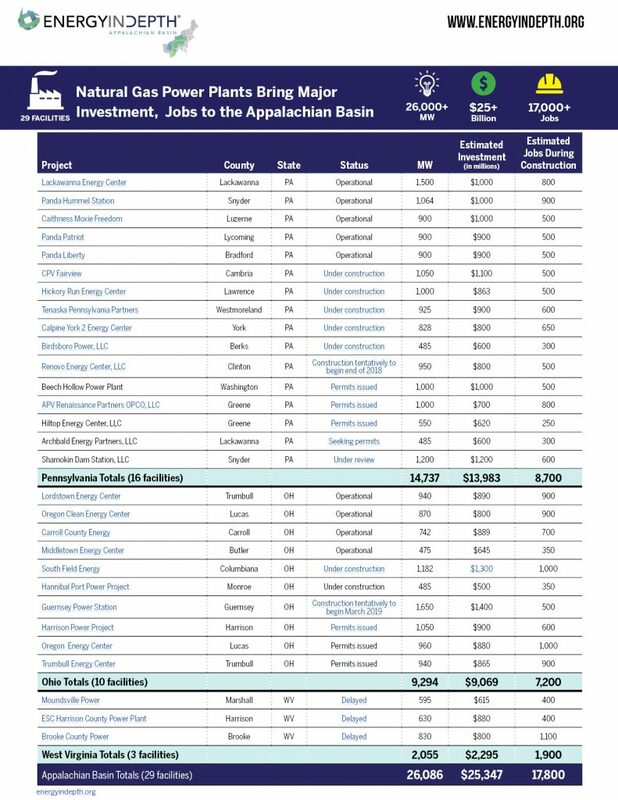 As EIA’s analysis of the PJM Interconnection demonstrates, the Appalachian Basin’s record-shattering natural gas production is already being used to power states across the market region. And as EID’s report shows, this is only the beginning for regionally supplied natural gas power generation.